Jobu weighs in on the Yankees’ minor league deal with Andy Pettitte. I was fooling around with my new iPad 3 on Friday (business need for Jobu’s Rum? ), when I saw a headline on cbs sports that said “Yankees Sign Pettitte to a Minor League Deal.” At first, I was confused. Was it another Pettitte? A quick Baseball-Reference search will confirm that there hasn’t ever been another Pettitte in major league baseball. Was it Andy’s son? No, his son isn’t that old. Plus, he’s American, and would have been subject to the amateur draft. I finally clicked on the headline and confirmed what I was beginning to suspect. 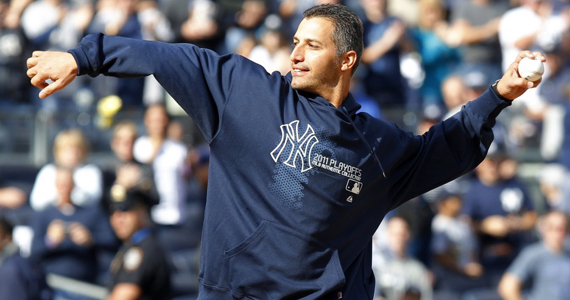 Yes, Andy Pettitte is attempting a comeback! The news definitely warms my heart, but it also fills me with some mixed feelings. On the one hand I’m very happy to have Andy Pettitte back. He’s one of the best pitchers in franchise history, and definitely one of my favorite players ever. His career numbers speak for themselves. In thirteen seasons as a Yankee, he racked up 203 wins (240 overall) and is the winningest (made up sports word) pitcher in post-season history (19 wins). He also helped the Yankees win five World Series (1996, 1998, 1999, 2000, 2009). In fact, during that 2009 World Series run, he was the winning pitcher when the Yankees clinched a playoff spot, the ALDS, the ALCS and the World Series. For Yankees fans, I really don’t need to say anything else. Everyone else can look at his career statistics and see for themselves. Another good thing about this move is that it potentially gives the Yankees some more depth in the rotation. While the Yankees rotation is overall pretty deep and solid, it’s hard to complain about adding a five-time World Series champion to the mix. Anything could happen to the Yankees current rotation at any moment, so extra depth is pretty important. Iván Nova could experience the typical Sophomore Slump, as could Michael Pineda. Phil Hughes was awful last year and no one knows if he’ll be able to regain his 2010 form. Freddy García has a history of shoulder problems, and took a line drive off the hand the other day. Stud prospects Manny Banuelos and Dellin Betances haven’t even had a full season of AAA experience yet, so they might not be ready to chip in at the major league level just yet. Again, Pettitte gives you an experienced, championship caliber insurance policy if anything goes wrong. So where’s the bad news, Jobu? Again, I’m not complaining about having Andy back, but this signing raises some legitimate concerns. My brother pointed out that perhaps the Yankees are panicking about Michael Pineda’s slightly decreased velocity. I’m not sure that’s quite true, but what if it is? What if the old Yankees Monster (the one who held back young pitching and signed aging veterans like hot cakes) is rearing its ugly head? I doubt Brian Cashman would allow that to happen, no matter how many people are blackmailing him for extra-marital affair indiscretions (note: I lasted a long time without mentioning that in a post, you have to give me that! ), but I could see how that concern would come up. Secondly, will this signing stunt the growth and development of other young pitching prospects? I already said that Banuelos and Betances aren’t ready yet, but what about guys like D.J. Mitchell, David Phelps and Adam Warren? These are guys who are one step away from the majors. They’ve had their full seasons of AAA and will be going back for more this year. 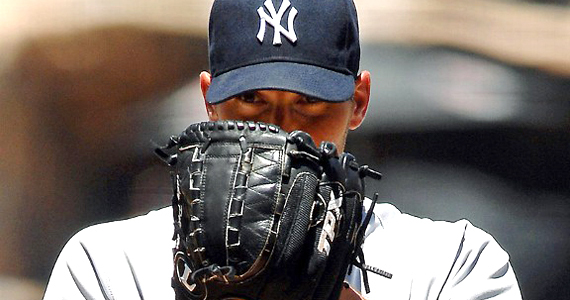 You have to assume that Pettitte will eventually enter the AAA Scranton rotation as he makes his comeback. Will someone be knocked out of that rotation? Also, those are the guys currently in line to get called up if an injury happens on the big club. If Pettitte works his way into shape, he probably leapfrogs them now. How will this affect them? Finally, what happens if no one on the major league team gets hurt, and everyone is pitching well? Are you going to tell Nova, Hughes, Pineda or García that they need to leave the rotation to make room for Pettitte? That probably won’t sit well with anyone, and it might not be in the best interest of the team anyway. Why potentially mess with a good thing? That being said, this scenario probably isn’t that likely. Someone will struggle and/or someone else will get hurt. It’s the nature of baseball. But still, it’s another concern. Finally, Pettitte is going to be 40-years old in June. He hasn’t thrown a meaningful pitch in a year-and-a-half (although he has been getting his arm in shape since December). What does he have left? This concerns me less, because he signed an non-guaranteed minor league contract. There’s nothing that say he has to be on the major league roster. He’s simply attempting a comeback, and if he can help the team, they’ll call him up. If not, I doubt they would force him into the lineup and risk hurting their own chances at winning a World Series. Right? At the end of the day, I think the Yankees are doing the right thing. They wanted Pettitte to stay last year (when they really needed him), and they told him that he basically had an open door if he ever wanted to come back. When someone who helps you win five World Series wants to try to help you win another one, you let him try. For those of you crying about Jorge Posada right now, they gave him a chance, and he wasn’t that great. He also displayed some major character concerns in the process. 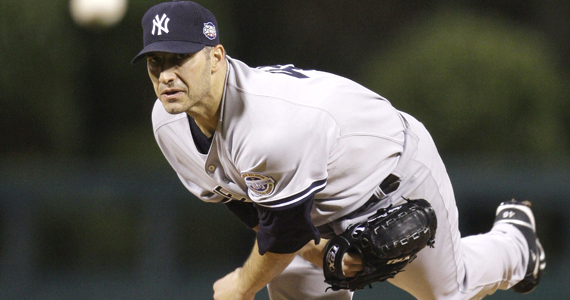 In his last season, Pettitte had a 3.28 ERA, which was his best in five seasons (2.39 in Houston in 2005) at the time. They at least owe him a chance to see what he has left in the tank. Plus, it would be a bit of a bad PR move if they shunned two of the Core Four in one off-season. I mean, really. I know this post sounded mostly negative, but I am truly happy to see Andy back in pinstripes. He’s a winner, and he’s pretty much always put the team ahead of personal accolades. On top of that, despite the fact that he might push one of them out of the rotation, he would be a great resource to help guys like Pineda, Nova and Hughes learn their craft. At 40-years old, this comeback attempt might fail miserably and give him the closure he needs to move on with his life. It also might be a huge success and he could come back and help lead the Yankees to another World Series championship. The only way to find out is to let him try. as long as this doesn’t inspire a bernie comeback, i’m ok with it. uh… he had 2 walks!